This article was published by ComputorEdge , issue #2443, 2006-10-27 , as a feature article, in both their print edition (on pages 18-19) and their website. Amber almost burst out laughing when her parents rushed into the family room, each dressed like a huge chocolate bar. Amber's father, Graham Wodestein, was apparently trying his best to calm his wife, Margaret. But as with all such attempts, his best was just not good enough, for Margaret rushed around the room, looking frantically at every tabletop, on every bookshelf, and under every pillow. "If I don't find that ring, I will just-"
"Melt?" Graham offered, looking at his wife's Halloween party costume, and hoping that some levity would help the situation. Margaret turned on him like a hurricane changing course. "Graham, you useless fool! One of the most valuable diamonds in the world is missing, and all you can think of are silly jokes!" While Amber slid down behind her laptop's screen, Graham tried to blend with a large potted plant next to the piano. Hiding did not work. Margaret marched over to the piano, and pointed a sharp finger at her wilting husband. "I last put my ring here, this morning, on the piano, just before beginning my piano and singing practice." At that, Amber made a sour look, but was cut short when "Hurricane Margaret" turned in her direction. "Young lady, use those sharp eyes of yours to search for my jewel, instead of wasting them searching that 'World Widespread' thing." Graham's love of technology overcame his better judgment, and he corrected her: "The 'World Wide Web' is what it's called." Instantly, Margaret hit "Category Five". "Who cares! Call the police, you idiot, so they can form an Internet in which to catch the crook who stole my ring!" Looking storm-wrecked and yet still tempted to correct his wife's terminological error, Graham wisely refrained. Instead, he cooed, "Don't worry, darling. We'll find it. Consider our home security system — state-of-the-art!" Indeed, the spy wannabe catalogs and limitless credit cards had furnished their mansion with an impressive array of high-tech toys: cutting-edge perimeter surveillance, electronic locks, space-age kitchen appliances, a carpet-cleaning robot (to keep up with the cat hair), and more TV/VCR/DVD/stereo remote controls than you could shake a universal remote at. Every door and window frame was outfitted with electronic scanners to track the movement of all valuables. Margaret, countering her husband's reassurance, retorted, "A lot of good these gadgets have done! Now, call the police, and ask for Frank." Her icy tone warmed a bit when speaking his name. Looking disdainfully at her husband, she added "He, unlike some men, can get the job done." An hour later, the assembled household watched as Police Inspector Frank Kloolus strode into the room, with some dignity, which was immediately lost when he tripped over Hygieia, the family's cat. He hastily confirmed that his toupee was still intact — though not his pride. Half an hour later, everyone had answered all of his questions, and his assistant had searched the cook, the maid, and the butler. By the end of this, Amber's mother seemed to be approaching a breaking point. Sensing the coming storm, the inspector said, "In summary, the ring disappeared sometime after Maggie- er, Mrs. Wodestein began her music practice. Afterwards, the maid dusted and cleaned. Later, the butler and cook set out candies and pastries for trick-or-treaters. The security system did not detect the tagged ring passing through the room's only door or any of its windows. We've searched every inch of every corner-"
"-and every person," the cook interjected, with some vehemence. "Right," he continued. "But no sign of that ring. Well, I'm dumbfounded." He chewed his lower lip, casting about, but apparently saw nothing to help him out of the jam. Having seen his handiwork in the past, Amber quietly repeated his last word, emphasizing the first syllable. Mixing infatuation with infuriation, Mrs. Wodestein gently scolded, "Surely you have some thoughts?" Amber snickered quietly, while surfing over to an online library website, where she quickly scanned through a favorite book, The Sign of the Four , by Sir Arthur Conan Doyle. The butler, ever at war with the cat, commented, "We haven't checked inside Hygieia." The cook immediately kicked his ankle. Only the inspector fell for the bait. "Yes, perhaps the cat ate the ring." Graham said sternly, "Hygieia may eat richly, but she's not completely clueless," with special emphasis upon the last word. The police inspector winced, and then looked around the room with a look of growing desperation. Amber broke the uncomfortable silence by reading aloud from her laptop, "Eliminate all other factors, and the one which remains must be the truth. Sherlock Holmes." Everyone gave her a blank look, except her father, who genuinely respected his daughter's keen mind. Her mother, still trying to look imperious, despite her Halloween outfit, asked curtly, "What on earth do you mean, my dear?" Amber gestured around the room. "The ring did not go out through the door or any windows. So it must still be in the room." Inspector Kloolus protested, "But we've looked everywhere!" "Not everywhere." She pointed at the vacuum robot. "Trick or treat!" The maid gasped, ran to the vacuum, popped it open, and extracted a dusty but still priceless ring. Mrs. Wodestein squealed with delight. "Smart girl! You see, Graham, our daughter has my brains." Amber and her father looked at each other, and rolled their eyes in unison. The maid, red-faced, nearly whispered, "I must have accidentally knocked it onto the carpet while dusting." She hastily cleaned the ring, and handed it to a much calmer Mrs. Wodestein, who slipped it on a claw-like finger. The inspector cleared his throat meekly. "Well, I'd best be going. It's getting late." Margaret glanced at the grandfather clock ticking sonorously. "Oh my! Graham, we're too late for the party. But we can at least enjoy some music." Needing no encouragement, and receiving none, she promptly sat down at the piano, and prepared to play, although this time with all of her considerable jewelry intact. The other adults began slipping quietly out the door, with softly muttered excuses. Amber grabbed her laptop and departed. The cat stayed for the first few sour notes, batting at the vacuum robot a few times. But when Mrs. Wodestein started singing, way off key, the cat took one last look at the famous diamond she had nibbled at earlier, and bolted out the door like a frightened goblin. Copyright © 2006 Michael J. Ross. All rights reserved. You can get online space for your future or existing website with the terrific hosting service that I use. Thank you for your continued excellent service. New articles and book reviews are announced on RSS. We also can connect on LinkedIn. 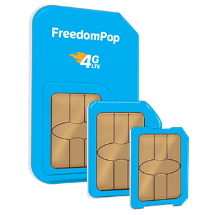 FreedomPop offers the lowest cost mobile phone and data plans and SIM cards for 50+ countries. You can get $40 of Airbnb credit for free when you join using this affiliate link. Copyright © 1996-2018 Michael J. Ross. All rights reserved.